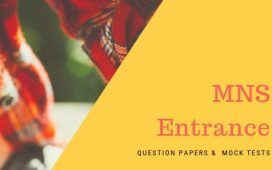 Applications are invited for MSc (HA) Entrance Examination 2018 held on 19th May 2018 that leads to admission for 2018-2020 Academic Session in 2 years (4 semesters) M.Sc. Hospitality Administration program, jointly offered by National Council for Hotel Management and Catering Technology (NCHMCT) and Indira Gandhi National Open University (IGNOU). Program is delivered through India’s best five Hotel Management Institutes affiliated to NCHMCT and ‘NCHM Institute of Hospitality’ viz., IHM Pusa, Chennai, Bangalore, Lucknow, Kolkata and NCHM-IH NOIDA. B.Sc degree in Hospitality and Hotel Administration from NCHM-IGNOU OR Bachelor’s Degree in Hotel Management from a recognized University and the Institute is approved by AICTE. Candidates appearing in the final semester/final year exam of the above said degrees and able to submit their bachelor’s degree latest by 31’1 October, can also apply. Direct admission to the program without appearing in JEE is also available for candidates with aggregate 55% marks in B.Sc. Degree in Hospitality and Hotel Administration from NCHM-IGNOU OR Bachelor’s Degree in Hotel Management from a recognized University and the Institute is approved by AICTE and two-years or more working experience in 3-star and above rated hotel industry (Industrial training which is part of Degree not to be counted as working experience). Industry sponsored candidates with above mentioned qualification and working experience can also apply for direct admission. Candidate has to send print out of the filled in online application along with necessary fee (ON-LINE FEE: Rs.900/- for General / OBC categories & 450/- for SC/ ST/ PD categories ) through a demand draft and other required documents, which should reach NCHMCT, Noida latest by 30th April 2018. Apply Online till 25th April 2018. 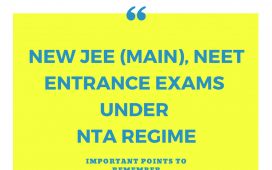 When will the entrance test result be declared for m.sc ?